Carrie seeks to help Husch Blackwell attorneys reach their full potential within an inclusive environment. Carrie works with the firm’s professionals to develop their strengths and leadership skills so they may offer the best service to clients. She oversees Husch Blackwell University and other programs whose curriculums focus on the management, business development and professional skills attorneys need to move their careers and clients forward. She also oversees the firm’s pro bono program, which benefits communities while exposing timekeepers to opportunities that allow them to refine their abilities. 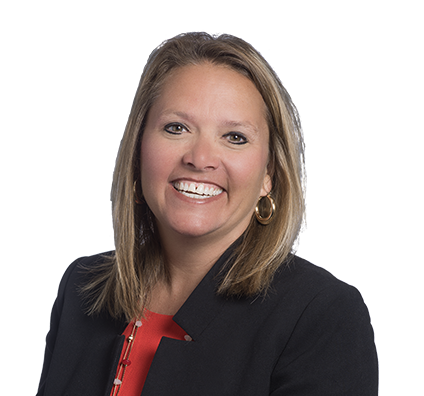 Carrie serves as liaison to the firm’s Executive Board and other internal committees to ensure Husch Blackwell considers important factors beyond talent when hiring and advancing employees. She also leads the firm’s Ombuds program, which encourages a culture of respect, and the NextGen Committee, which promotes an open dialogue between attorneys with 10 or fewer years of experience and executive management. In 2019 Carrie became a Gallup-Certified Strengths Coach. Carrie encourages all firm attorneys and staff to utilize strengths-based coaching as an opportunity to appreciate how the individual strengths profile influences behaviors, productivity and engagement. Carrie spends much of her free time attending her sons’ sports games. Carrie is a native of Kansas City and loves the Midwest lifestyle. She enjoys traveling to the beach with family and friends. She feels lucky to have spent a college semester aboard Semester at Sea. She traveled to countries such as India, China, South Africa, Kenya, Malaysia and Singapore. 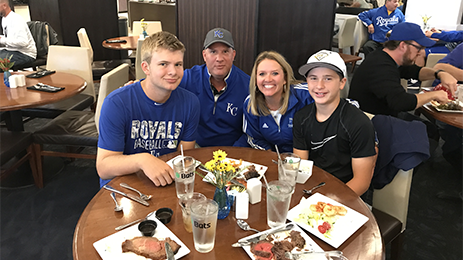 Carrie and her husband, Brandon, met in high school and have two teenage sons. Both boys play competitive travel baseball and hope to follow Brandon by playing collegiately. Carrie actively participates in the basketball booster club at her oldest son’s school. She organizes social events for the boys and girls basketball teams, participates in fundraisers and helps organize a cancer awareness event.